”One More Year”: Should Gerrard Listen To This Former Rangers Player And Not Sell This Star? Rangers will have a big upcoming season, but before that, they are going to have a crucial summer transfer window. 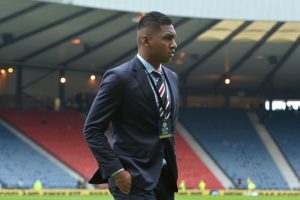 Steven Gerrard will have a lot of decisions to make, and one of them is going to be regarding the future of Alfredo Morelos. The Colombian striker has managed a whopping 29 goals and 11 assists in all competitions for Rangers this season, but there have been numerous occasions when he has let his team down with his volatile temperament. Steven Gerrard seemingly had enough of Morelos after the forward made the stupid mistake of lashing out at Scott Brown which earned him a red card in the just gone by Old Firm derby. Many fans want him to be sold in the summer as the striker has let his team down on crucial junctures of the season. What is former Rangers’ fullback Arthur Numan views? What should be Gerrard’s play? Given his disciplinary record, Rangers are unlikely to get the full price of the player just based on his abilities. At the moment, Rangers haven’t got any bids that would tempt them to sell the striker. Nice made a bid of £8m in January, and Steven Gerrard didn’t have any second thoughts about knocking it back. Rangers must be looking for a bid closer to the £20m mark, but Morelos has hurt his chances by seeing a red card in a game where a lot of eyes would have been on him. However, this disciplinary issue might work in Rangers’ favour in the summer. As Numan says, quite a few clubs would consider the forward as a gamble and they may not come up with a bid that Rangers finds acceptable. In that case, Gerrard would probably be able to extract another year out of the 22-year-old striker at Ibrox. We feel that if Gerrard doesn’t get his desired price for the player, then he should keep hold of the forward. Hopefully, Gerrard will be able to mellow him down in the next few months. Rangers should be in a strong position to negotiate (with the player as well as the buying club) as they recently made him sign an improved contract. Premier League Outfit Readying A £20m Bid For Leeds United Midfielder: Should Bielsa Sell? Rodgers Eyeing Former Rangers Hotshot To Beef Up Leicester City’s Attack: Good Fit For Him? Rangers Slap £10m Price Tag On 21 Y/O Star Forward: What Should Be Murty’s Play Here? Rangers Star Keeps Door Open For A January Exit: Worrying Sign For Gerrard? How Barcelona’s Influence Might Impact Rangers & Gerrard In The Upcoming Transfer Market? 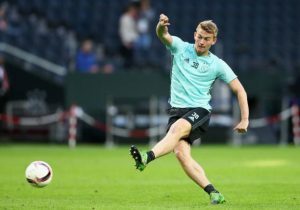 Rangers Close In On 5th Signing Of The Summer: The Best Buy So Far By Caixinha?